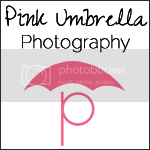 Pink Umbrella Photography: Oh Fall, How I Love Thee!! Oh Fall, How I Love Thee!! 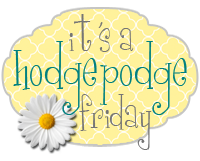 I found a new blog today that I just am in LOVE with. They have the cutest ideas for fall and halloween decorations. With Christmas just right around the corner, why not put those tree's up a little early but decorate them for Halloween and then for Thanksgiving. Super fun and cute ideas. This one below is decorated for Halloween. How fun is that? This next one is decorated really cute for fall, which would look great in your home during Thanksgiving. You can find your own little basket to set the tree in or you can get really crafty and paint your own. Decorating Christmas tree's does not have to be just for Christmas. Head on over to Country Creations by Denise and check out her ideas. You do not want to miss out on her ideas over there. Very cute stuff. I love the holidays and Halloween is one of my favorites! This got me in the mood to start decorating! Love it!